Multiple homes in this Homebush building on Park Rd are being offered with the first two weeks rent free. Desperate landlords are offering tenants up to four weeks free rent just for signing new leases amid a rise in vacancies and drop in rental prices. 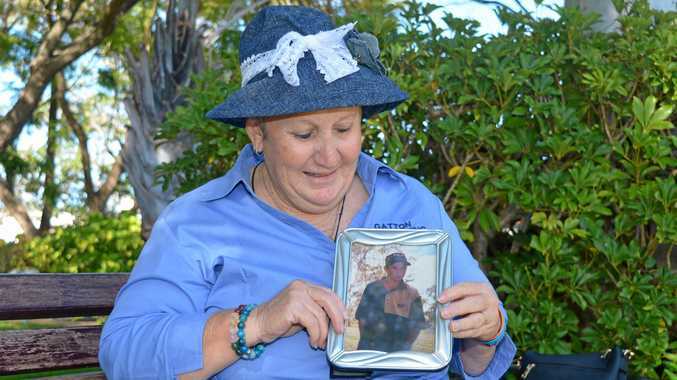 The offers have followed a surge in new housing construction that oversupplied parts of Sydney with housing, with nearly one in 10 rental homes sitting vacant in some areas. This comes as a new Rental Affordability Index released Thursday showed Sydney rents became more affordable over the past year. The biannual index by National Shelter and SGS Economics also revealed Sydney was no longer the nation's least affordable rental market, slipping to second behind Hobart. Additional data from CoreLogic showed median advertised weekly house rents have fallen by an average of more than $100 in parts of the north shore, northwest and Sydney's far west. The suburbs included north shore enclaves Gordon, North Turramurra, Chatswood West and Neutral Bay. Weekly advertised rents also fell in construction hot spots Liverpool, Kellyville, Oran Park, Parramatta and Penrith. Kellyville had the highest level of vacancies, with 9.2 per cent of homes currently empty. In nearby Epping, where developers have started a mass of unit projects for the opening of the Sydney Metro Northwest rail line next year, 6.6 per cent of rental homes remain vacant. Gordon's vacancy rate was 7.7 per cent. Less than 2 per cent of rental homes were without a tenant across most of Sydney before the construction boom started in 2015. This home in Eastlakes is also being offered with a week’s free rent. CoreLogic head of research Tim Lawless said renters were in a good position and would be able to negotiate better lease terms. "Rents are falling and housing supply is still increasing," he said. Some landlords were combating the spike in vacancies by offering their homes with generous lease terms. 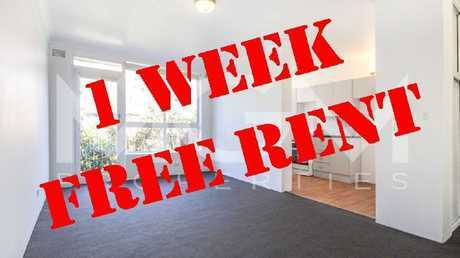 Earlier this week a two-bedroom penthouse on Old Northern Rd in Castle Hill was being offered as "rent free" for the first four weeks. 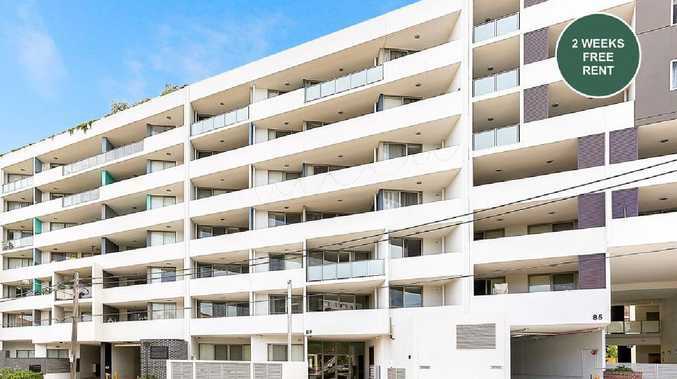 In Homebush, where there has also been high-level construction, multiple homes in a building at 89 Park Rd are being offered with two weeks free rent. 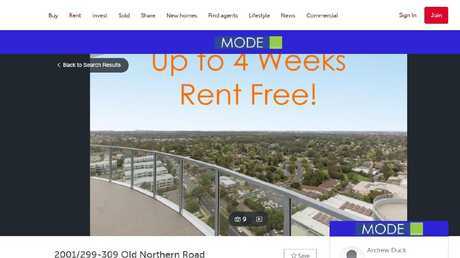 A rental listing on realestate.com.au earlier this week showed an offer of up to four weeks rent free. Similar offers were being made in nearby Sydney Olympic Park and Rhodes. Units in multiple buildings in Sydney's south, including Mascot, Rosebery, Zetland and Hillsdale, were also offered with two weeks free rent. One real estate agent marketing these homes said the free rent offers were borne out of "desperation". "We simply can't find tenants," he said. Di Jones Eastern Suburbs agent Adele Hamer said the improvement in those areas was almost solely down to increased housing supply. With more choice of homes, professionals, young couples and families had a better chance of securing a lease, she said.